Clarksville, Tennessee, is located in the far north-central portion of the state. The county seat of Montgomery County is one of the fastest growing cities in America among those with populations of more than 50,000. The community is home to about 145,000 residents, and it is also the home of Austin Peay State University. The home of the famed 101st Airborne Division of the United States Army, Fort Campbell, is less than 10 miles away. History Clarksville was the first city to be incorporated in Tennessee. It was named to pay homage to a Revolutionary War hero, Gen. George Rogers Clark. Many of the earliest settlers came here following the War for Independence after being given land in the area in lieu of being paid for their services. The federal government simply did not have the means to pay all the veterans of the war in cash. In World War II, Camp Campbell was established, and it would later be re-named Fort Campbell. The Clarksville Greenway is actively used by hikers, bikers and rollerbladers. It is also popular among those that want to walk their dogs. Water stations and quarter-mile markers are found along the way. Two very different experiences are offered. A four-mile-long paved trail is fairly level, while another paved trail measuring five miles in length is routed over rolling hills. 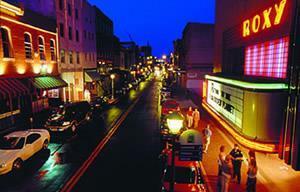 The historic downtown area is a true center of the arts and culture. The Roxy Theater hosts theatrical productions from classic to contemporary. Also downtown is the The Customs House Museum and Cultural Center. This facility is appropriately housed in an elaborate Gothic building dating back to the early 1900s. Clarksville's Rivers and Spires Festival is a multi-day festival that offers unique experiences like the Gig City gaming activities, arm wrestling contest and scavenger hunt that awards over $10,000 in prizes. The Clarksville's Got Talent competition is also a part of this April event. Live music and lots of food and drink add to the appeal of the Rivers and Spires Festival. Look to a capable real estate agency in Clarksville TN for guidance in sorting through the couple of thousand Clarksville homes that will be on the market. A prospective Clarksville home buyer relocating because of Fort Campbell will find that a realtor in Clarksville TN can show him or her appropriate condominiums and affordable single-family residences. Many of these Clarksville homes for sale will include between 1,200 and 2,200 sq-ft of living space. Thanks to substantial recent growth in the area, many of the homes for sale in Clarksville will include modern amenities like energy-efficient systems, extra storage space, deluxe kitchens and spacious lots. Those interested in earlier real estate for sale in Clarksville TN will find well-kept bungalows and frame residences among the many Clarksville properties on the market. The real estate in Clarksville will also include estate-style Clarksville homes that will address the needs of those wanting more living space and more amenities. The wide selection of Clarksville real estate will invariably address the needs of almost every buyer.